So I found these adorable frames that are just 4 3/4" square and decided it would be fun to take my daily mosaic even smaller for awhile. The frames have an easel arm at the back for shelf display. 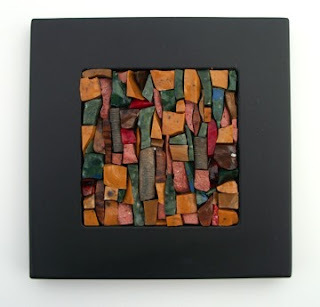 Due to the size, these teeny mosaics are just $50.00.